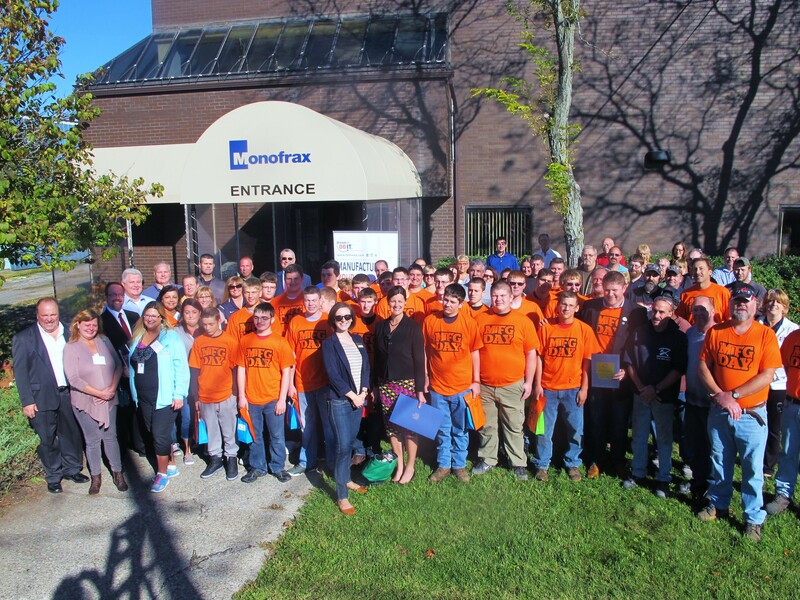 On Friday October 7, 2016, Monofrax welcomed in Manufacturing Day for Chautauqua County with some prestigious visitors. Monofrax was very proud to host County Executive Vince Horrigan, Lori Cornell- Southwestern NY Representative or Governor Andrew Cuomo’s office, Todd Tranum- President of Manufacturers Association of the Southern Tier, President of Dream It Do It WNY, President of Chautauqua County Chamber of Commerce, Lorie Wilson, Business Representative for IAM District 65, Justin Hanft- Chautauqua County Director of Dream It Do It who set up the tours for the schools and manufacturers and coordinated the day’s events, students from Randolph Central School District as well as teachers from throughout Chautauqua and Cattaraugus Counties and some local media. Proclamations were read by County Executive Horrigan and Lori Cornell proclaiming October 7th Manufacturing Day, highlighting the impact manufacturing has on the local economy as well as opportunities for careers in manufacturing moving forward. 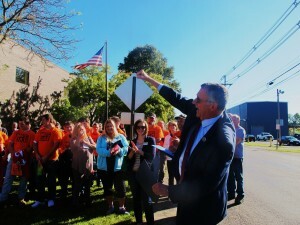 Tours of the plant were hosted by members of the management team and our management representatives of our two local labor unions- International Association of Machinists and Aerospace Workers and the National Conference of Fireman and Oilers, which toured the students and teachers through the plant and discussed our operations and careers in manufacturing. Teachers and students were shown a video of the company and processes and a welcome from our President & GM William Andrews discussing the opportunities in manufacturing across all functional areas.